Excavation sites at Teotihuacan. Stone structures excavated along the Avenue of the Dead, part of the large Teotihuacan archaeological site and city near Mexico City, Mexico. 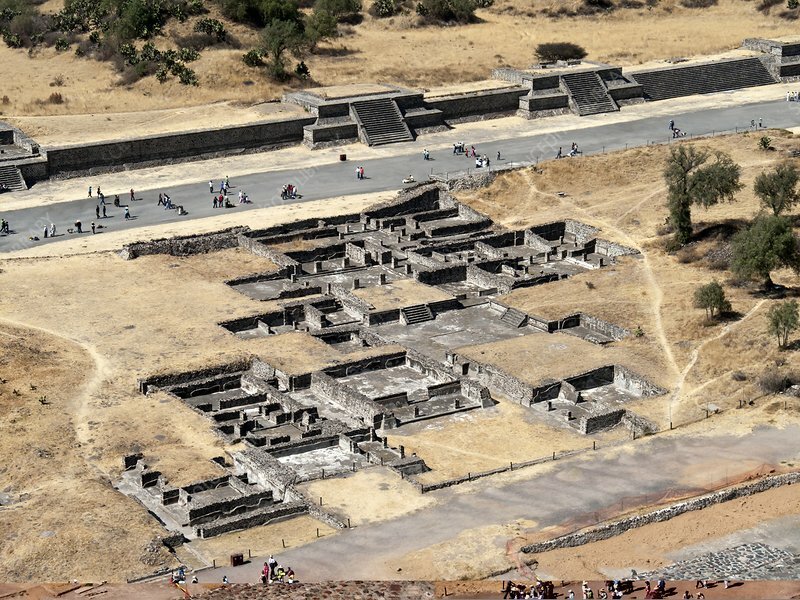 Teotihuacan's Mesoamerican culture reached its peak in the first half of the first millennium AD, with a population of around 100,000 making it one of the largest cities in the world at the time. Structures on this avenue include ceremonial platforms once topped with temples, as well as residential complexes and work areas. Teotihuacan became a UNESCO World Heritage Site in 1987. Photographed in January 2011.